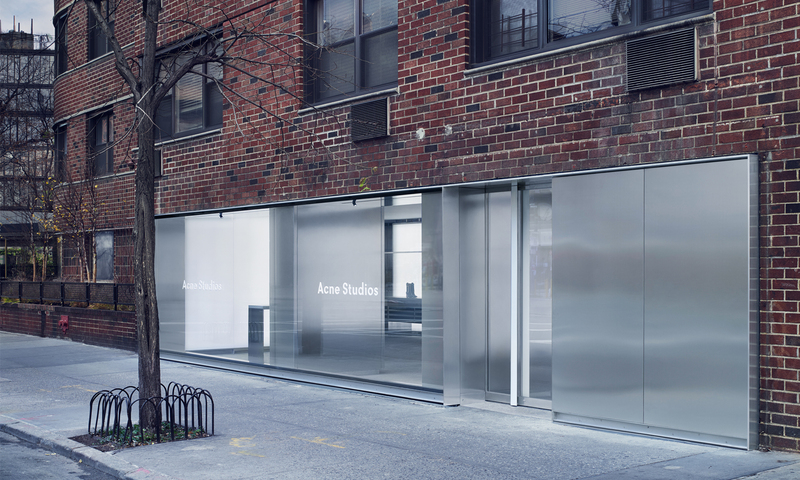 With this location, the Stockholm-based fashion house Acne Studios was launching its innovative retail design concept in the United States. 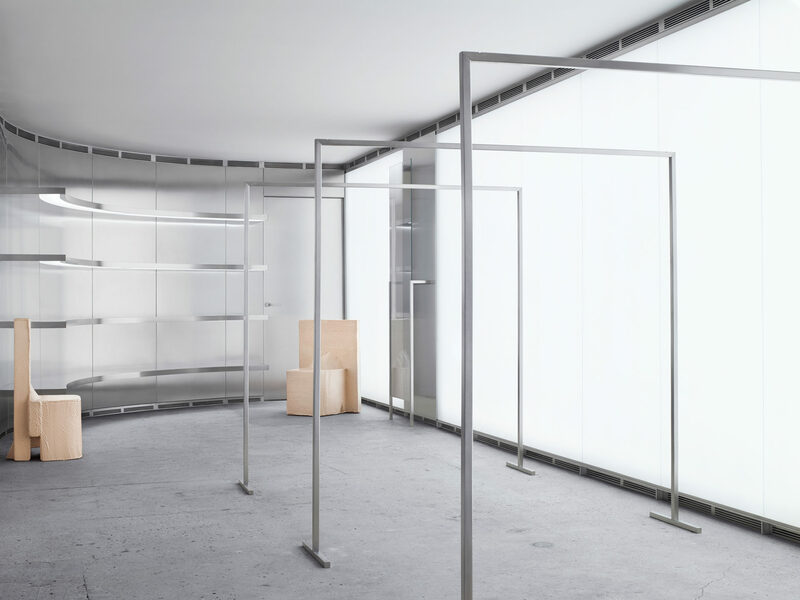 Having completed the New York home for Acne Studios’ executive chairman, we were asked to work with Sophie Hicks Architects (London) on the design of the West Village store. 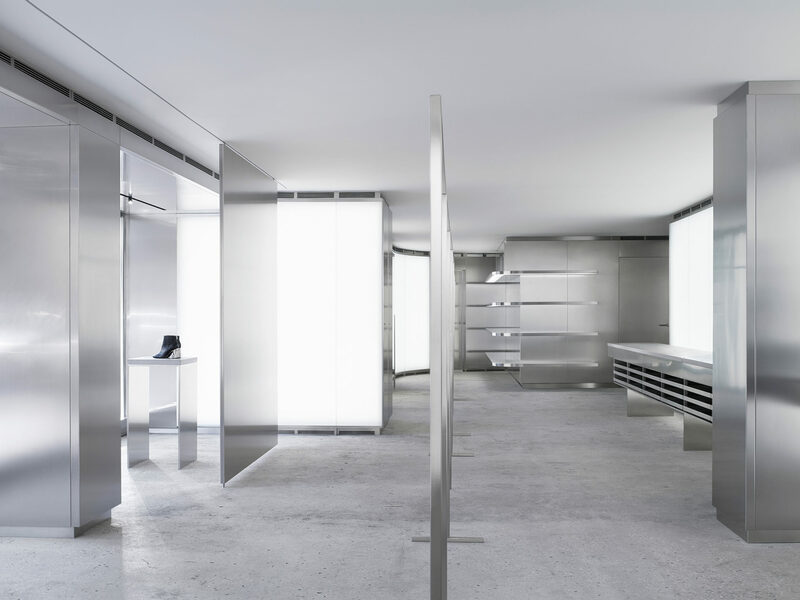 The site was originally three small stores that Acne Studios demolished to create one large space. 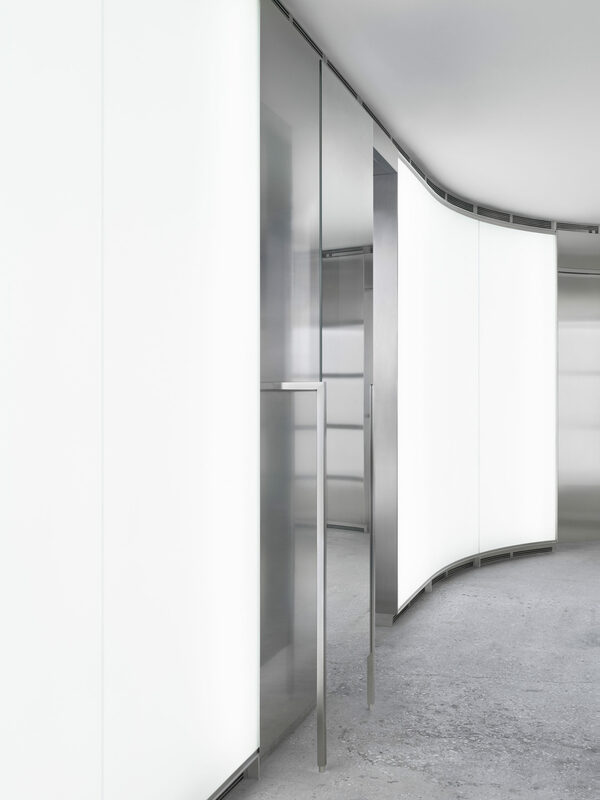 The clean, minimal aesthetic is articulated with a glass and stainless steel store front, custom stainless steel millwork, and custom curved translucent glass walls for the lighting. 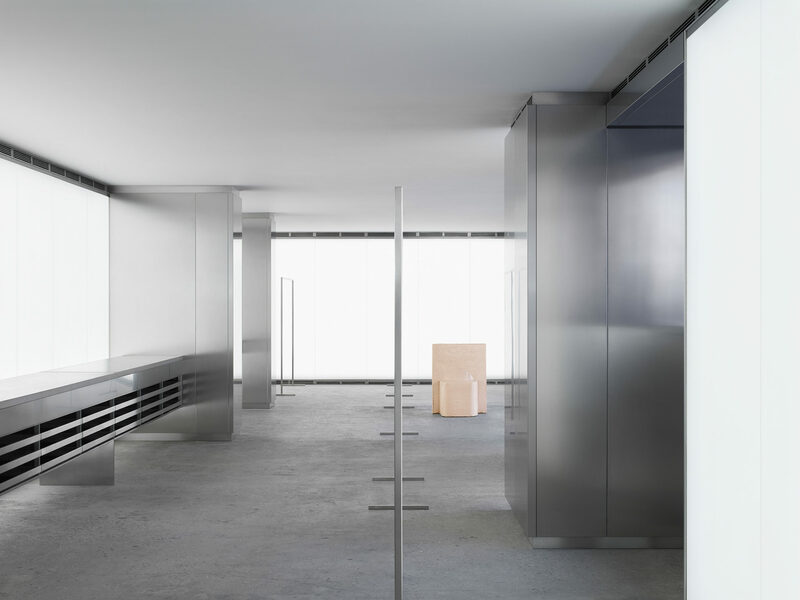 These refined materials contrast starkly with the raw natural concrete floors, and the minimal architecture highlights Acne Studios merchandise. 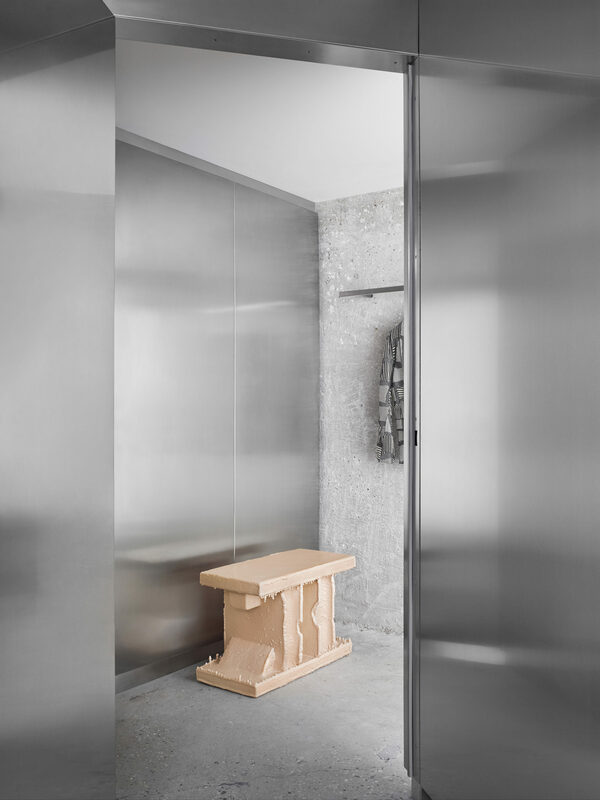 says Mikael Schiller Executive Chairman for Acne Studios.